Size: Small, Color: Black/Pink is currently out of stock! Includes: dress with attached petticoat and faux leather top with attached green bow and metallic pink hat with 10/31 card. 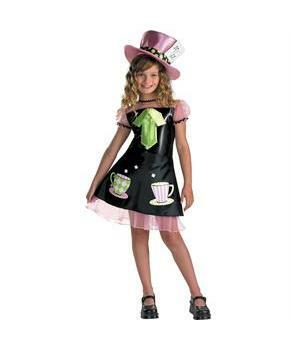 Feel absolutely remarkable with classic Mad Hatter look and just keep enjoying your costume party. Are you planning for a surprise dramatic costume this time? Go for magnificent Mad Hatter outfit. Surprise your friends with this classic character costume and don't forget to throw some nonsensical jokes. Carve out some good times for your beautiful girl with this dramatic costume. She deserves to look adorable and have a dazzling experience among her friends. 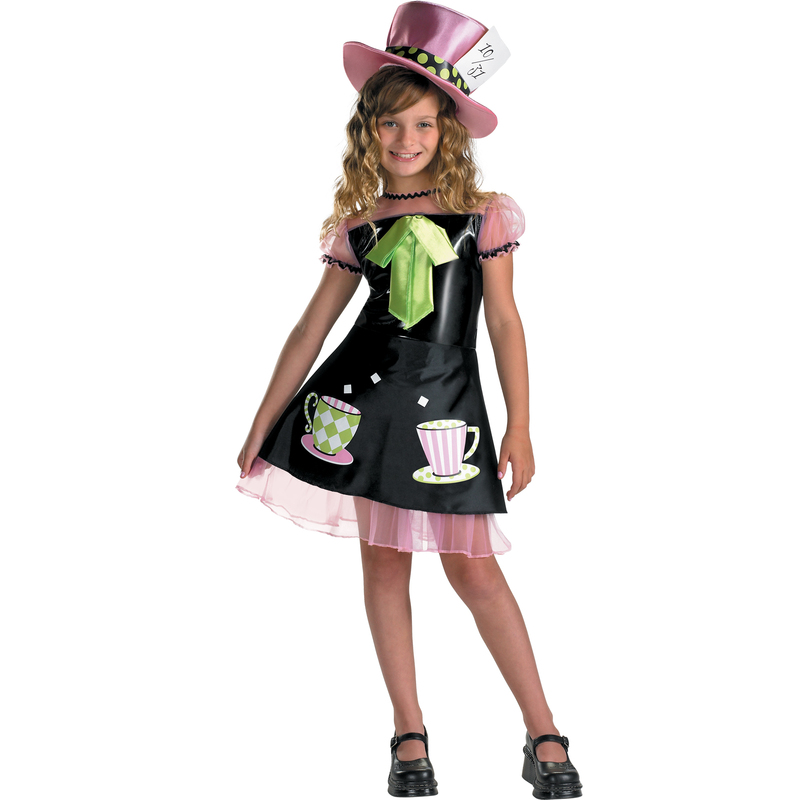 Dress up like an iconic legend in our Mad Hatter Child costume. Care Instruction: Hand Wash Separately in Cold Water, No Bleach, Line Dry. Cool Iron if Necessary. Do not Dry Clean.